Usually, Jeff’s creations are subject to requiring approval before they may be copied or shared. 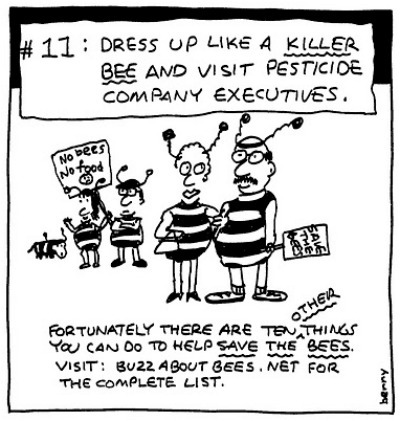 However, Jeff came up with a brilliant way to use his talents to make a difference: by launching Cartoons For Causes (opens new window), and Jeff says you may copy and share any of the cartoons on that site, as a way to spread the word – that includes the bee cartoon above! So why not ‘share to show you care’? Of course, I’m pleased Jeff decided to pick up on the plight of our bees. Cartoons are very powerful communication tools, because they put across a message in a very succinct way, and often with humour, as is the case with Jeff’s cartoons. Indeed, cartoons, have been used throughout the ages in various campaigns. Do take a look at Jeff’s cartoons, and please share them with your friends. They include all manner of themes, from simple ways to help people with cancer, to cartoons about global warming and small ways in which we can all play our part to help the environment. Learn how to create a bee garden. 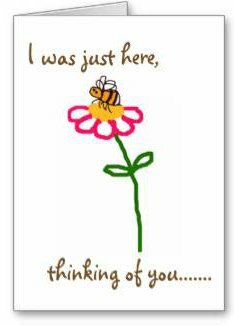 Or why not find out about 4 positive messages you can share to help the bees. These are short messages designed to break down a number of misconceptions about bees, insects and the environment. You may also enjoy this blog page: Help The Bees By Bee-ing The Change You Wish To See In The World. 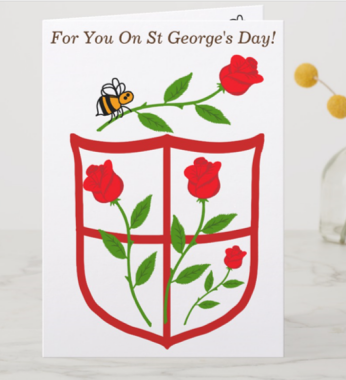 Check out this page featuring honey bees, or my page featuring other bee clip art. No, they are not professional like Jeff’s, but hey, you may find them useful!